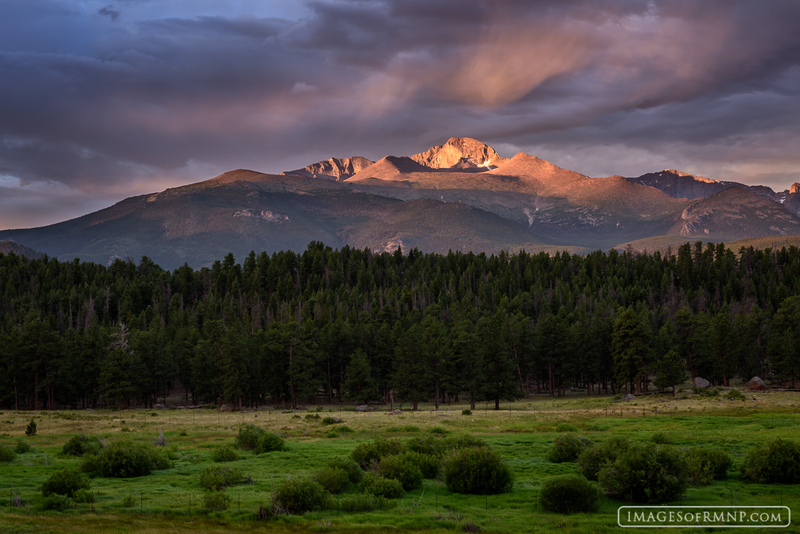 As I watched the sun break through the clouds and light Longs Peak on this stormy morning I was reminded of John Muir's quote, "How glorious a greeting the sun gives the mountains!" Glorious is the only way to really describe such scenes of beauty. Photo © copyright by Erik Stensland.